Paint your nails the color of the ocean with this Aqua Waves nail polish by NPW! Featuring a shimmery liquid base in a beautiful blue hue, it’s the final touch to your mermaid makeover! You’ve got your mermaid tail, swimsuit, hair accessories & more—now all you need is some blue mermaid nail polish to make a memorable splash! You’ll love how the color shimmers on your nails in a pearly sheen akin to everything magical you’ve ever seen on the ocean floor! 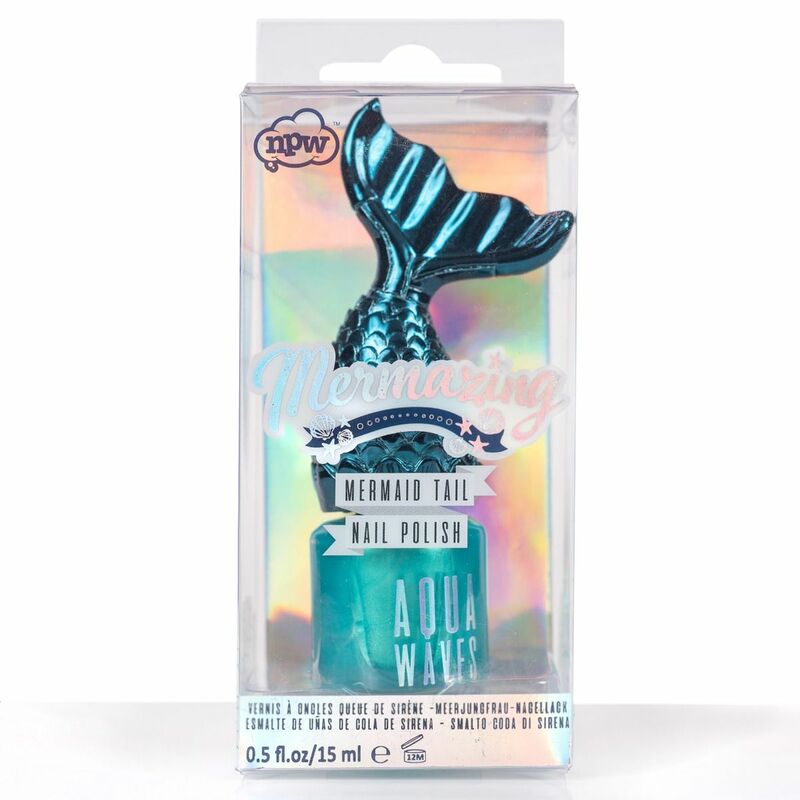 Featuring a chunky mermaid tail handle for maximum control, this is one nail polish you must add to your treasure trove of pretty thingamabobs. Caution: Keep out of reach of young children. Adult supervision recommended. In the rare event of an adverse reaction, discontinue use. For external use only. Avoid contact with eyes. If contact occurs, flush with water. Do not swallow. May cause irritation to the digestive tract.